The Secretary General is responsible for personnel management, financial administration and overall administration. They also make sure that rules and laws are followed. Their main tasks include acting as the secretary for the ISYY Representative Council and the Executive Board, preparing and organising meetings as well as general administration. You can contact the Secretary General with questions related to administration, such as grant applications. They are also happy to provide general counsel and support, and give you guidance about who to turn to when you need help. The Data Protection Officer operates as a specialist in data protection matters and as a link between ISYY and supervisory authorities. Please contact the Data Protection Officer if you notice any malpractice or deficiency related to data security or data protection. The Office Secretary is located at the customer service desk in the Joensuu office. Please contact the Office Secretary in matters related to Student Union membership, student cards, term stickers and ISYY calendars. SYKETTÄ Sports stickers, ISYY products, overall badges and tickets to various events can also be purchased and collected from the Office Secretary during office opening hours. Also, they will be happy to assist you with venue hire, sports equipment and board game loans or any enquiries you may have. If you are not sure who to ask, you can always turn to the Office Secretary! The Specialist for Interest Advocacy is the Student Union’s expert in social and academic issues. He is involved in writing ISYY’s official statements and comments, and takes care of the process of electing student representatives in the University administration. Please contact the Specialist for Interest Advocacy on issues related to your studies, your legal rights as a student, financial matters, teaching arrangements or student health care. Everyone is entitled to a safe and pleasant learning environment. The Specialist for Interest Advocacy also acts as the Student Union Anti-Harassment Contact Person, and deals with harassment cases that take place at the University. Please contact the Anti-Harassment Contact Person in case you encounter bullying, discrimination, racism, sexual harassment or inappropriate behavior during your studies. All the information you share is handled with complete confidentiality. Service Planner organises SYKETTÄ Sports Services in Joensuu, executes ISYY's communications and organises events. In addition, the Service Planner is ISYY's contact person in data protection matters and the main user of IT systems. You can contact the Service Planner in all matters related to SYKETTÄ services, communications, events and data protection. The Coordinator of International Affairs (Joensuu campus) is interested in anything and everything to do with international mobility. They are actively involved in providing and improving services aimed at international students studying at UEF. The Coordinator of International Affairs is in charge of English language communications (including the Weekly Feed newsletter in Joensuu), student advocacy, information and arrival services (welcome bags, survival packages, Student Union memberships) and leisure activities. They also work very closely with UEF International Mobility Services, tutoring, other student unions, organisations and clubs that look to bring Finnish and international students closer together. Please contact the Coordinator of International Affairs, if you have any questions or problems related to your studies (or life in general). The Academic and Social Affairs Specialist is the Student Union’s expert in social and academic issues. They are involved in writing ISYY’s official statements and comments, and take care of the process of electing student representatives in the University administration. Please contact the Academic and Social Affairs Specialist on issues related to your studies, your legal rights as a student, financial matters, teaching arrangements or student health care. Everyone is entitled to a safe and pleasant learning environment. The Secretary for Interest Advocacy also acts as the Student Union Anti-Harassment Contact Person, and deals with harassment cases that take place at the University. Please contact the Anti-Harassment Contact Person in case you encounter bullying, discrimination, racism, sexual harassment or inappropriate behavior during your studies. All the information you share is handled with complete confidentiality. The Communications Planner is the Student Union’s communications professional. They are in charge of ISYY communication channels (such as the website, newsletters, Facebook and Instagram) and inform both the students and media of any study-related news or issues. They work continually to improve ISYY communication channels together with the rest of the Communications Team, and give help and advice in questions related to communications. You can contact the Communications Planner from Mon to Thurs. The Accountant takes care of the Student Union’s bookkeeping, accounts and payroll. Please contact the Accountant if you are an ISYY Club active and need help with managing the club finances. The Organisational Affairs Specialist is located at the customer service desk in the Kuopio office. Please contact them in matters related to Student Union membership, student cards, term stickers and SYKETTÄ sports stickers. Also various ISYY and ESN KISA products, overall badges and tickets to various events can also be purchased and collected from the Organisational Affairs Specialist during office opening hours. The Organisational Affairs Specialist is the contact person for Student Organisations, Campus Organisations and ISYY Clubs in Kuopio. In addition, they are in charge of looking after the band practice room at Studentia Building. If you are not sure who to ask, you can always turn to the Organisational Affairs Specialist! You can contact the Organisational Affairs Specialist from Mon to Thurs. Coordinator for International Affairs and Administration is in charge of administrational duties and international affairs at the Kuopio campus. Administrational duties include writing the shortened minutes from the Executive Board meetings as well as organizing events and training sessions. He is also responsible for archiving the minutes of the meetings for the sections in Kuopio. International affairs include communications in English (Weekly Feed newsletter), advocacy and services for international students (such as tutoring and survival packages), and working closely with ESN KISA. You can contact the coordinator if you have any questions regarding international mobility, tutoring, or you want to connect Finnish and international or exchange students. Please contact the coordinator also if you want to get the word out about an event you are organizing. 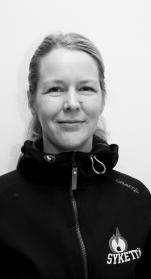 The University Sports Coordinator is in charge of the SYKETTÄ services in Kuopio. They coordinate, execute and develop the SYKETTÄ Sports Services that are available to students and staff of the University of Eastern Finland (UEF) and Savonia University of Applied Sciences. They are responsible for the finances of the SYKETTÄ Sports Services from budgeting to securing funding. In addition, they coordinate partnerships with other sports service providers in Kuopio and act as the manager of the SYKETTÄ sports instructors.